We will be updating the FAQs each week to help users get the most out of their run. Q: My iPhone stops reminding me with the metronome. How do I keep it active throughout my run? A: The iPhone has a default setting to put itself to sleep during times of inactive screen touches. Listed below are the steps you must take to keep your iPhone "awake" and an active participant/coach with the RunCadence App open during your run. 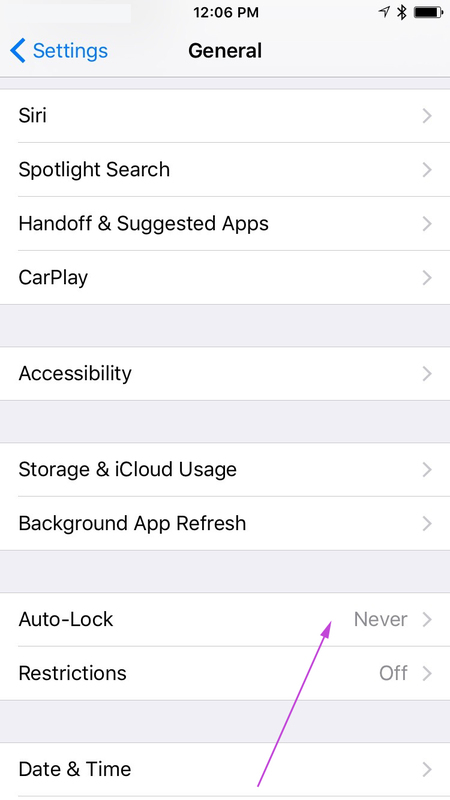 On older IOS 10 and older: Click on the native Apple "settings" iCon on your home screen, Click on the General Icon, Select the "Auto-Lock" option, Adjust the Auto-lock to "Never". * Note this will increased battery usage and you are encouraged to manually lock your home screen when not using the RunCadence Application or simply adjust it back to 2 minutes which is the default setting on the IOS. Q: How do I turn my iPhone settings to allow RunCadence Permission to function properly? A: Go to settings-- Go to RunCadence--- and allow all Location "Always", Motion & Fitness "on", Cellular Data "on"
Q: Can the RunCadence app work with on my watch without my phone present? A: After pairing the watch, the App can work independently so your iPhone can stay at home. Q: Does the RunCadence app capture my running history? A: Currently the entry level pricing and version does not provide a detailed history of your run. However the Apple Health Kit does record this information throughout your day and workouts. The Health Kit App does not currently provide step-rate data. Q: Does the RunCadence App sync with the Nike Workout App? A: No, RunCadence does sync with the native Apple Health Kit. Q: Why I am having trouble syncing my Apple Watch and iPhone Apps?